Belle de Couture: Vintage Swap + Giveaway: The Bright Orange Skirt! Vintage Swap + Giveaway: The Bright Orange Skirt! Hello dahhhhlings! :) T.G.I.F.! It's time for the 2nd Vintage Swap + Giveaway, aren't you excited??? Let me introduce to you the newest addition to the vintage swap team: Noa Bolozky! Noa is one of the faces behind the fabulous blog: Secondhand Star. If you haven't checked this blog out yet, get on it STAT! If you love vintage just as much as I do, or if you are intrigued by the transformation of cheap thrift items into chic ensembles, then this blog will blow your socks off. Tanya Dempsey is the fashionista behind the blog: November Grey, and just so happens to be the other half of Secondhand Star with Noa. If your a frequent visitor of the blog, perhaps you saw the very first Vintage Swap + Giveaway Tanya and I did, which consisted of a vintage, black and white seashell skirt! You can check out the post HERE. We had so much fun with the swap and giveaway, that we decided to keep it going strong... and to make even more exciting we invited Noa to the swap! :) Both of these lovely ladies are absolutely gorgeous, and the fact that we all share a common passion for vintage clothing just makes our collaboration so much fun! Since color-blocking is so HOT right now, I immediately thought of pairing this bright orange wrap-skirt w/ a bright pink top. Since the colors are so loud, I decided to keep the accessories to a minimum, so opted for a vintage gold daisy necklace. I'm really lovin' espadrilles right now, so I figured this bright springy ensemble would be perfect for my Christian Louboutin pair. Diggin' this skirt? Already brainstorming ideas of how you could style it?? Then enter the giveway and it could be yours! Check out Secondhand Star and November Grey to see how Noa and Tanya styled this skirt, and enter for your chance to win it! Details on how to enter will be featured on Tanya's blog: November Grey! Good luck everyone! :) xo! You are amazing and adorable! I die for those shoes. Love ya, girl! I never realized how much I love pink and orange together until now. Your shoes pull it together perfectly. Love the color blocking (and the shoes!!!) ! You're so pretty! 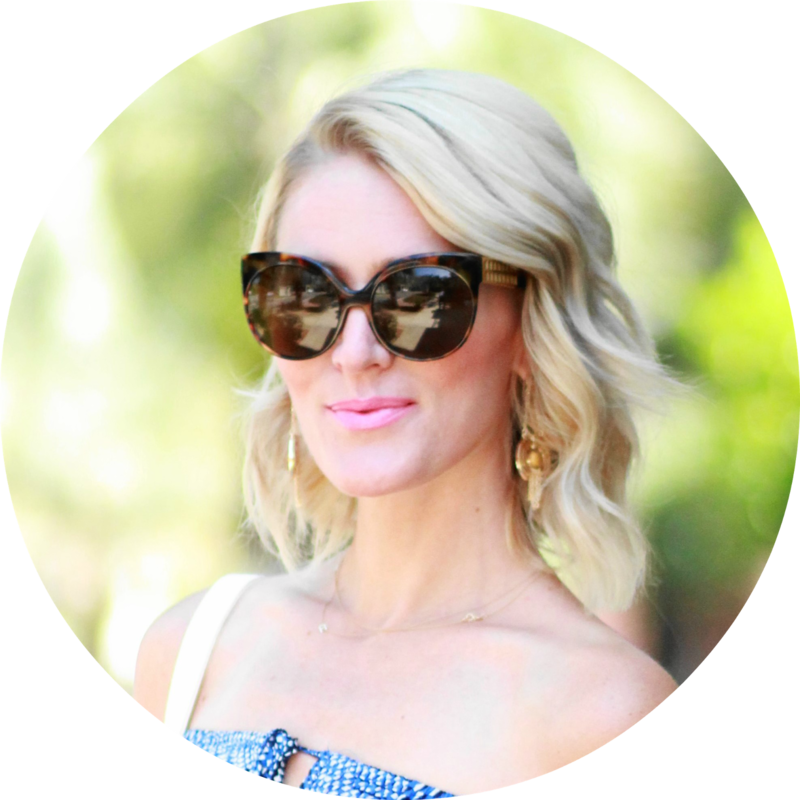 I just love all of your outfits, when I'm stuck in a rut I look at your blog for inspiration! Yes colorblocking is the biggest trend right now. I absolutely love it. You should totally post your look on The Wear to go Girls' facebook page for a chance to be featured for best look of the week. You certainly did that skirt justice. Fabulous color combo and I'm dying over those wedges! It was fab meeting you on Sat. We must get together again soon!